DIRECTIONS: This powder disperses best in water and water based products. For dry products, add desired amount of color to dry ingredients. Incorporate color to formula slowly, using amount as desired. Adding this color to a white base will produce a beautiful pastel color. Adding this color to a clear base will produce a darker true color. CAUTION: Approved for general cosmetics, lip and eye products. For external use only. Keep out of reach of children and pets. Do not inhale. COMMENTS: This blue is just flat beautiful in bath bombs. Our customers (especially the kids) LOVE the color of their bath water after using our bath bombs colored with this! COMMENTS: This is a great color. You can use this to come up with many many options. it doesn't take very much at all. COMMENTS: This works great in my bath bombs, I wish it was batch certified for the smaller quantities so I could use it in bath bombs I sell but otherwise this works really great and the colors are vibrant. COMMENTS: A little goes a long way to make gorgeous, vibrant bath bombs with no staining. 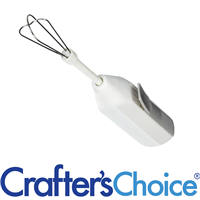 Blends well with no clumps— patient mixing pays off. COMMENTS: I use this in bath bombs. It gets everywhere as it's a fine pigment so make sure to cover everything including your eyes, nose and mouth very well if using. COMMENTS: A little goes a long way, no stain. COMMENTS: This is a great bright blue. This was great for my bath bombs. Makes the water blue and fun for kids. They love it. "Great for bath bombs "
COMMENTS: This colorant makes my bath bombs vibrant in color without staining the tub. They're the best! COMMENTS: I must admit this jar lasted me quite a while because a little goes a long way. I love the color it's gorgeous! This definitely makes Art in the Bathtub No Paintbrush Needed! COMMENTS: What a wonderful day!!!!! Smiling..... Another great product. LOVE IT!!!!! COMMENTS: A very tiny bit goes a very long way! I've only used this once, so far for soap and bath bombs. Both were much, much darker than I expected, especially the soap, even though I used less than the suggested amount. Bubbles are blue. I think this will be nice grated and used in confetti soap. I'll go earlier with this next time. COMMENTS: This is a beautiful blue! It made really beautiful blue bath bombs, and I was able to mix it with some yellow bloomed baking soda to make green, and it turned out to be a pretty shade of green! COMMENTS: Great color easily dispersed. COMMENTS: This is great on it's own, colors the water a beautiful blue. Also blends well to make other colors. COMMENTS: I used this product to make soap. I liked the way it only took a small amount to color the soap. COMMENTS: this is perfect, great for blues, or blending with other colors. this is a staple in my color kit! Note: one problem i had was when i put MP soaps into my bath bombs, the blue migrated into the soaps which were white. COMMENTS: Very concentrated! A little goes a long way! Very nice blue, I love it!! COMMENTS: I like this colorant. A little goes a long way. 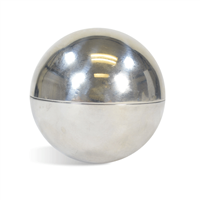 I have managed to use it in several types of bath bombs. It does not stain the tub. However if there is a hole in the glove you will have blue fingers. It washes off within a day. I love this product and will buy lots more in the future. COMMENTS: This color is perfect for Bath Bombs. A little goes a long way and it doesn't stain. COMMENTS: Love these colors my first order and will be ordering more, Turned the water a pretty shade of blue. A little goes a long way. Did not turn my tub blue. COMMENTS: Just scoop a bit and mix. The blue is amazing and colors the water nicely. It was not morphed colors on me to date! COMMENTS: Didnt leave a ring on the tub when used in my bath fizzy. Is beautiful and bright and when mixed with a smidge of green, created a to die for lagoon teal! Will buy again and would definitely recommend to others. COMMENTS: I LOVED the blue bath bomb colorant. Took every little to color a batch and the when bath bomb is used it colors water beautifully! Such a BEAUTIFUL blue! Will definitely purchase again! COMMENTS: Great for Bath Bombs, Shower Fizzies or Soap and easy to use. It makes great embeds for my bath bombs and colors the water fabulously. Mixes well with the red and yellow to make other colors. COMMENTS: Love the color outcome!! Small amount goes along way! COMMENTS: Love that I don't have to use Poly 80! COMMENTS: Working on the second jar of this product. Makes beautiful colors for bath fizzies. COMMENTS: love this color did not leave bath tub ring, I made light blue and dark blue bath bombs. COMMENTS: This is a great product! A little goes a long way! Easy to use and makes bright, beautiful and vibrant colors! COMMENTS: Rich deep blue or light sky blue depending on how much you use. A little goes a long way. Gorgeous color. Worked so nice in my bath bombs, colored the water beautifully, no Polysorbate needed, no staining, no tub ring. Colored my bath salts really well, only needed a smidge! Love this color. Product is easy to use. COMMENTS: Love the ability to control the shade of blue in my bombs! Add a little or a lot, depending how deep you like the blue! COMMENTS: So easy to use. I am a beginner at bath bomb making and the array of different types of colorants you can use was intimidating. I tried this from the sample pack and am so glad I did! A little goes a long way but I love using a lot for bright bath colors. No ring in the tub, no stain, no residue, nothing. Uniform in bath water color. This also worked well when I mixed some of the stained glass liquid colors in. Also tried this with a touch of black iron oxide to darken it (used poly 80 for that) and it darkened perfectly. This is my favorite color of the Bath Bomb Powder Colors. COMMENTS: I use this in bath bombs to color the water blue. Use a little to color the water a lighter blue or add more to color the water a darker blue. Works well when combining with other colors to make different color combinations as well. Will order this again. COMMENTS: Works great in my bath bombs and doesn't leave a tub ring! Perfect powdered color. COMMENTS: This color is rich and bold. It's gorgeous! COMMENTS: Vibrant color and not tub staining. Works well with my bath bombs! COMMENTS: Used in Bath Bomb fizzies a really nice true Blue also mixed with a neon blue in HP soap bright & beautiful. COMMENTS: I love love love these for bath bombs! I need more already! This is the only blue I will use for my bath bombs! Well done WSP! COMMENTS: This lake blue makes beautiful, blue water! My customers love it! COMMENTS: These are so concentrated and work beautifully. COMMENTS: This item was soo awesome. I used it to make a bath bomb and when mixing it with the dry products I thought it was going to be a light blue, but after adding the wet products the color began to pop ! When I finished my bath bomb I then put it into the water and it made my whole tub Blue ! It was so awesome. I bought the 2oz and it was definitely enough especially to last a long time, Especially you only need a little bit. Will buy more once I run out. COMMENTS: I use it when I make my bath bombs and bubble bath bars. It is really good. COMMENTS: This blue had a lot of green undertone to the color! It made the color way less appealing to the eye. COMMENTS: I got the lakes in all 4 colors, and I LOVE them! I use them all the time. You don't need any polysorbate or anything! They dispurse in the water beautifully and don't leave a ring around the tub! Just be careful not to get it on your skin or clothes. It definitely stains! "Perfect for Bath Bombs & Fizzies"
COMMENTS: From my experience, I prefer to use only these Lake colors to color all my bath bombs, bubble bars/scoops & bath fizzies. Not only are the colors vibrant but they turn your bath water the same awesome predominate color. They come in your basic primary colors that you can mix to create any color you wish. 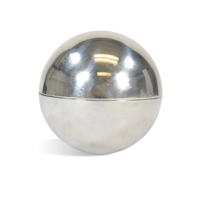 WSP has the best price I have found anywhere. I always add polysorbate 80 to my mix & I haven't had any problems with the color sticking to my bathtub. Of course, you always need to start with a clean bathtub because most any mica will stick to soap scum regardless of what you add. My experience with other micas is that they don't always disperse as well even with the addition of poly 80. 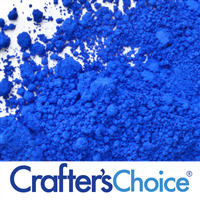 COMMENTS: What a great shade of blue...It made a luscious bath bomb scented with Patchouli, Frankincense & Grapefruit. It's a keeper! COMMENTS: Needed a good blue that leaves no bath rings for my july bath bombs, this DOES stain hands when mizing, but leaves little to no bath scum. COMMENTS: I love this color. no mess no stress. Makes beautiful product. I like to make white or pail color balms with this bright color in the center. the blue is my all time fave. COMMENTS: Little goes a long way' you get your moneys worth. Will be buying lots more. Love this company, fast shipping. COMMENTS: It mixes really well with yellow to make various greens, but it doesn't mix well with red when making purple...always ends up a weird gray color or too blue. But other than that, I love this dye! COMMENTS: I love this color for bath bombs and truffles. Takes very little colorant to produce a beautiful bath bomb that turns water a vibrant blue that my customers love. 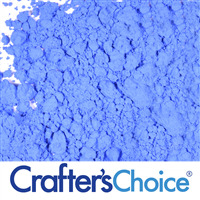 "This is the bluest blue I have ever seen"
COMMENTS: You only need to use a fraction of this color for mixing with other colors or even your batch. When I opened the jar, I was mesmerized (in a grand way :) It was a deeply rich shade of an indescribable hue somewhere shy of indigo...but much, much more vivid. I absolutely love my purchase and can't wait for the opportunity to use it exclusively in a project. I tried to mix red and this blue to make purple...I added more and more red and thought I had purple in the container...but I ended up with a baby blue (no complaints because it was just for icing on a bath bomb cupcake). LOVE IT! COMMENTS: This color works great in my bath bombs! It's doesn't leave a ring in the tub. Highly recommended! COMMENTS: This blue is fantastic. I used it in my Cinderella inspired bath bombs which were a hit! A little goes a long way. I used too much at first and it stained only my toes blue but once you get the right amount down, it's amazing! 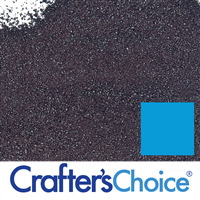 COMMENTS: This colorant is a great buy! It took very little to color my bath bombs. I was very surprised at the size of the container. There is enough colorant to make a lot of bath bombs! 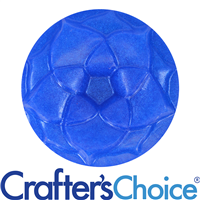 "Bath Bomb Blue Powder Color "
COMMENTS: Produce beautiful blue bath bombs. Plus, the color won't stain the tub. "Bath Bomb Blue Powder Color"
COMMENTS: I got a sample of this color. It's very vibrant . I will be purchasing bigger size definitely. COMMENTS: This lake makes a beautiful blue water when used in bath bombs. Non staining but I still use polysorbate 80. I have also used this in body butters and sugar scrubs. 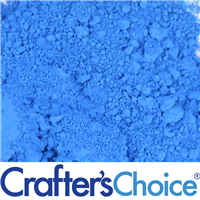 "A beautiful shade of blue"
COMMENTS: You need very little of this colorant. The color is absolutely beautiful and bright. We used it in some of our bath bombs and the color dispersed evenly. Will definitely buy again, if we ever run out! A little goes such a long way! • You only need a little! "Works great for Bath Bombs"
COMMENTS: The color is amazing!! I highly recommend for bath bombs! COMMENTS: I love this product. It is a bright color and very clean. 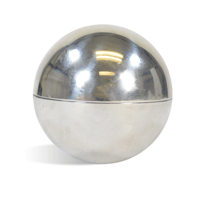 I have used it in soap, bath bombs, and sugar scrubs. COMMENTS: I love this color. A little goes a long way. It turns the water a nice blue color, but no staining the tub or your skin. COMMENTS: I keep trying to get blue, but all I get is turquoise! No matter how much or little I add, I keep getting turquoise. COMMENTS: What a great color it makes!! I love it! COMMENTS: Not baby blue, not navy blue, just the perfect blue like the one in a child's crayon box! COMMENTS: Worked just as described. The best part was no staining the tub or my skin. 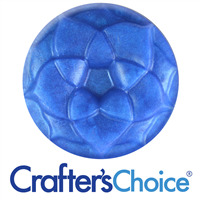 "Crafters Choice™ Bath Bomb Blue Powder Color"
COMMENTS: Makes a great color of the bomb, colors water perfectly, and doesn't cling to the side of the tub. COMMENTS: It is the perfect color for my galaxy bath bombs and does not stain the tub at all! The color does not make the water super dark, it is more of a lighter blue instead of royal. I am happy with that and it doesn't bother me at all. It doesn't have any weird smell either. I will buy again. COMMENTS: No ring around the bath tub, excellent. COMMENTS: Love how this works so well in my bath bombs. Turns the water a beautiful blue color! COMMENTS: Love this for making bath bombs! COMMENTS: I use this blue colorant in my bath fizzies and bubble Truffles and it makes a beautiful blue. 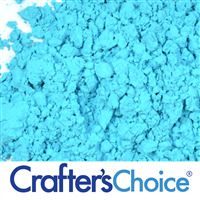 You can use a little for a beautiful sky blue or add a lot for a deeper royal blue. It's also fun to combine with the red and yellow colors to get green and purple. COMMENTS: Perfect for bath bombs or fizzie's. Great product! 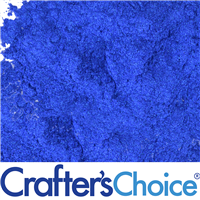 COMMENTS: This blue is easy to customize the shade and also mixes to make a pretty green! Purple is kind of hard to achieve at the level I want but I'm sure it can be done. This color is by far my favorite to use for bath fizzie embeds and has made my triple berry fizzie look so much fun in the tub,and leaves the water pretty also. Im so happy I finally tried these powder colors! 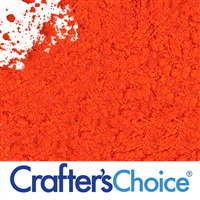 COMMENTS: This is a perfect colorant - gorgeous color that disperses well in the water. The blue itself is VERY vibrant, and makes a gorgeous aqua when mixed with the yellow. When mixed with the red though . . it's an ugly purple. But the blue rocks! COMMENTS: This is the best blue water colorant I have found! It makes the prettiest blue water in the bath. My bath bomb customers love this color and it does not leave a ring! COMMENTS: Very nice blue. I have mixed it with yellow and got a nice green. I also mixed it with red. I have to play around with that formula but I think I will get a nice purple. You won't regret this purchase. I highly recommend. COMMENTS: This blue is amazing. Weather you need a baby blue or a midnight blue for your bath bombs a little goes a long way. This is my favorite color to use in my bath bombs. COMMENTS: I love this blue color. I get different blues and purples by combining it with other colors. My bath bombs, salts, and fizzies come out beautiful every time. Love that the color does not stain my tub. COMMENTS: I love this blue so much and i only have to use a little for a super vibrant result! 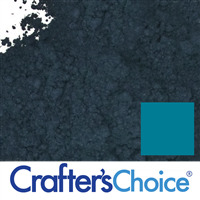 COMMENTS: I can make so many different shades of blue with this lake pigment! COMMENTS: I love this blue, it's very dark and a little goes a long way! COMMENTS: My first attempt to color my bath bombs was a big disappointment when I tried using micas. I had done my research and had purchased the Polysorbate 80 thinking that it would disperse the micas but apparently I hadn't used nearly enough. After using this I will never go back! Super easy to use. And a little goes a LONG way. Works perfectly! COMMENTS: Loveee it. I didn't have to use a lot to get a bright blue color. COMMENTS: I really like the color and that it does not stick to the tub in bath fizzies. COMMENTS: Little goes a long way. Easy to get varying shades by varying amount added. COMMENTS: Beautiful blue,you just need a small amount.You get a lot for he amount. COMMENTS: This is perfect our bath bombs. 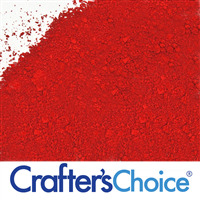 It has a great color throw with no staining and no residue in the tub. Makes a beautiful blue water everytime. "Nice color for bath bomb"
COMMENTS: Great color in the bath. I need to experiment more for the oil in the bomb because it left color ring. But i love using it. COMMENTS: This color gives my bath fizzies a wonderful bright blue color. I recommend this product for your bath bombs and bath fizzies. COMMENTS: I cannot even explain the beautiful colors this powder creates. I use it for bath bombs and it foams a gorgeous blue/green color and leaves the tub what you imagine the brightest of blue water to look like. I have not had an issue with residue. COMMENTS: This blue produces a rich deep color to my bath bombs and also colors the bath water a pretty blue. Will continue to use in my bath bombs and fizzies. "Great looking blue bath bombs!" COMMENTS: This colorant is excellent for anything "bath". 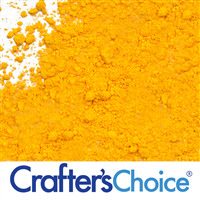 We use these Lake colorants to make beautiful bath bombs, salts, frizzies, etc. I highly recommend them! COMMENTS: I love this colorant for making bath bombs! Works great, blends in nicely and doesn't stain. "Makes a pretty color for bath salts"
COMMENTS: I used this colorant in my lavender bath salts. Next time I will blend colors together to achieve the right color for the salts I am making. Love it! COMMENTS: Ordered sample sizes and returned to purchase more. COMMENTS: Im a new consumer of Lake colorant. The blues are exceptionally brilliant & very easy to use. I had used liquid dyes in the past but this is money and time saver! This is now my company's "go to" colour supplier! COMMENTS: I use this in one of my room sprays also, as the blue helps tone down the slight yellow note to a more clear color. COMMENTS: WOW! Love this color - makes many different shades of blue, is easy to mix with other colors, incorporates easily into bomb/fizzy mix, can be made a soft baby blue or a deep, deep, deep blue. Just be careful - deeper blue can leave a ring (easily removed from tub sides w/ cloth). We love this color and will keep in stock. Customers seem to love it too - whether it's pale or deep but deep blue seems to be a fave. Thanks WSP - you rock! COMMENTS: It's great except you have to work with gloves. I hate wearing gloves when I make bath bombs because I can't tell the right consistency. But if I don't- this stuff litterally clings to me and gets all over. It washes off nice but! you definitely need polysorbate 80 to keep it from creating a ring around the tub and staining your mixing ware. COMMENTS: Amazing color! Super loved it!! COMMENTS: This is lake colorant for bath bombs, fizzes, and salts. Do not attempt to use this product with anything that goes directly on the skin - only for those that will be dissolved in a large amount of water. This colorant will color the water and does not require polysorbate to prevent a ring around the tub. Wonderful product for bath bombs. COMMENTS: I love how bright these colors are in bath bombs! Powdered color makes it easier, no need to add less liquids! No sulfur smell!! I just wish there were a couple more colors! Green, purple and black would be great!! "Bath Bomb Powder Color is the Bomb!" COMMENTS: I love these colors. I have used 3 of the 4 available (red, yellow and blue). I love all three of them. 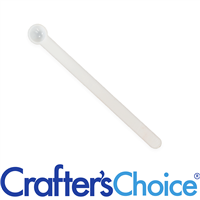 They are easy to use, do not stain and color the water very well. I add Poly 80 to my mix and have had no problems whatsoever. They are bright colors and always attract a lot of attention to my booth! 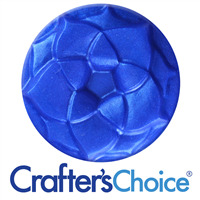 "Crafters Choice™ Bath Bomb Blue Powder Color "
COMMENTS: Had to buy a big container of this blue! So nice - use a little for a lighter blue and a little more for a richer color. COMMENTS: I love how bold and vibrant these colors are! This is a bright beautiful royal blue. I also like how easy it is to work with for bath bombs. This blue did seem like it could possibly stain though. I got some on my counter top while making things, and it did not wipe off easily like the other lake colors did. Also I tried mixing this and the red in equal measures to make purple, and ended up with a very gray looking color. So it would be nice if more colors were offered. COMMENTS: Love the color, Turned out perfect. "An absolute must-have for bath bombs and fizzies"
COMMENTS: I am so happy I discovered these bath bomb colorants from Wholesale Supplies Plus!! I will never use micas again. 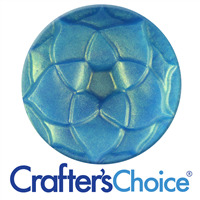 These turn your bath water a beautiful hue and DO NOT stain or leave a ring around your tub. These are a must have for anyone making bath bombs or fizzies. I haven't tried them in my bath salts yet but I am sure they will work just as well. I will be a lifelong customer this is for sure. I can't believe it took me so long to find these. Thank you! "Bath Bomb Powder Color "
COMMENTS: A must have - Great for use in my Bath bombs. I Love it , Easier to work with than liquid BB colors (In my opinion) Will always use. NOTE - a little goes a long long way . "Love this in bath fizzies!" COMMENTS: This works so well for bath fizzies. I make fizzies for some children that have EXTREMELY sensitive skin. I have a couple of fragrances I use and I color the fizzies with the bath bomb color. Blue is their favorite, hands down. It doesn't irritate their skin and it also rinses clean---no blue ring around the tub when they are done with their bath. COMMENTS: Excellent product. Very vibrant color only need a pinch. COMMENTS: This is a beautiful mica and worked well in my cp soap. COMMENTS: Very pretty! It morphs in cp and the others don't. COMMENTS: This blue is amazingly vibrant. 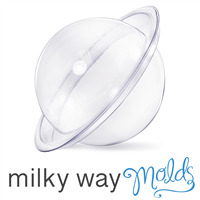 I've used it in the bubble bars and bath bombs and it works beautifully every single time! COMMENTS: This is an amazing blue color! Deep, rich, intoxicating - turns the water blue in bath bombs and washes away perfectly (with a little help from Polysorbate 80). "First time using color powders." COMMENTS: My first attempt at making a green with this blue and Bath Bomb Yellow Powder was easy. I added blue first then the yellow in small amounts until I reached the green I wanted. I also love how clean it is in the tub no color ring.This is a must for bath bombs. "Makes a variety of blues"
COMMENTS: I love how I can make so many different shades of blue with just this one color. I use it in my bath bombs and salt to add a splash of color. "Does exactly what it should"
COMMENTS: This lake is exactly the same as the other lakes in terms of performance. It does exactly what it should with no surprises. COMMENTS: This blue is great, I use it A LOT in my bathbombs, most of my bombs have some kinda blue tint or something and this works perfect. 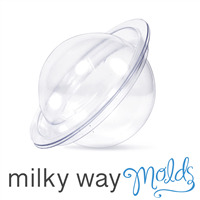 It dissolves in water perfectly which is a big deal, doesn't leave any stains or anything.